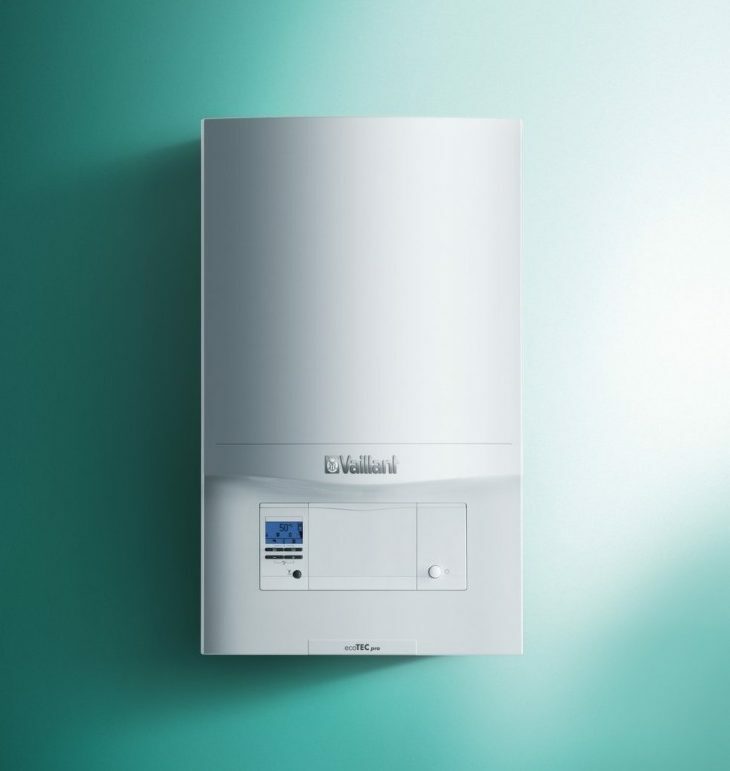 The ecoTEC pro range of combination boilers combines the built in quality, reliability and performance you’d expect from Vaillant, with a simple design and approach. Requiring no hot water cylinder or cold-water tank in the loft this combination boiler provides almost instant hot water delivery to your taps, and fits simply and easily into homes even with limited space. Offering impressive efficiencies and reduced energy consumption, thanks to its stainless steel heat exchanger, this boiler offers great performance and peace of mind for the future. 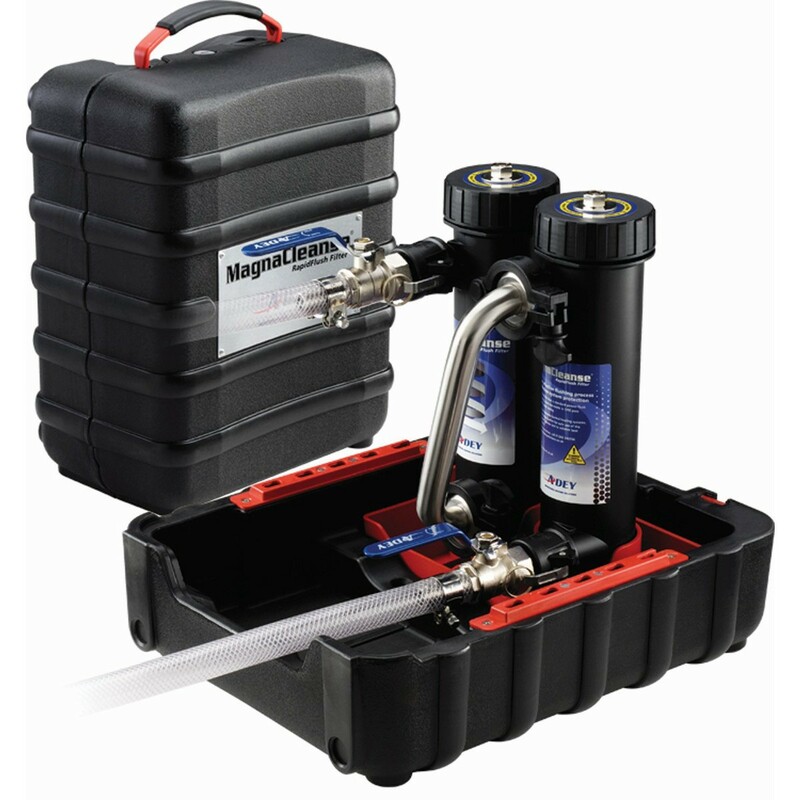 MagnaClean® Micro2 has been developed by the company that pioneered magnetic filtration. ADEY’s filters are already protecting more than three million heating systems in homes throughout Europe removing virtually 100% of the damaging suspended black iron oxide sludge that builds up in all heating systems. The dual-action filter can be installed anywhere on the main circuit. However, to achieve the best level of protection for the boiler, it is recommended that Micro2 be fitted after the last radiator and before the boiler. The RT500 can switch circulating pumps, boilers and motorised valves. 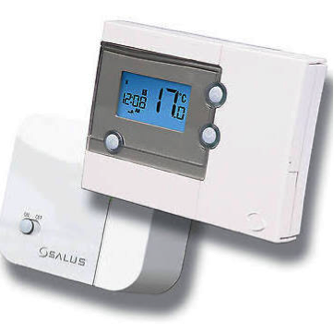 Intended for homes where the household has a variety of heating needs from day to day, The RT500 gives you a feature packed unit but still maintains simplicity for the user. Features 5/2 or 7 day programming flexibility. Built in start up programme for quick installation, volt free contacts, battery powered with replacement indicator. Frost Protection. 5 time and temperature changes. 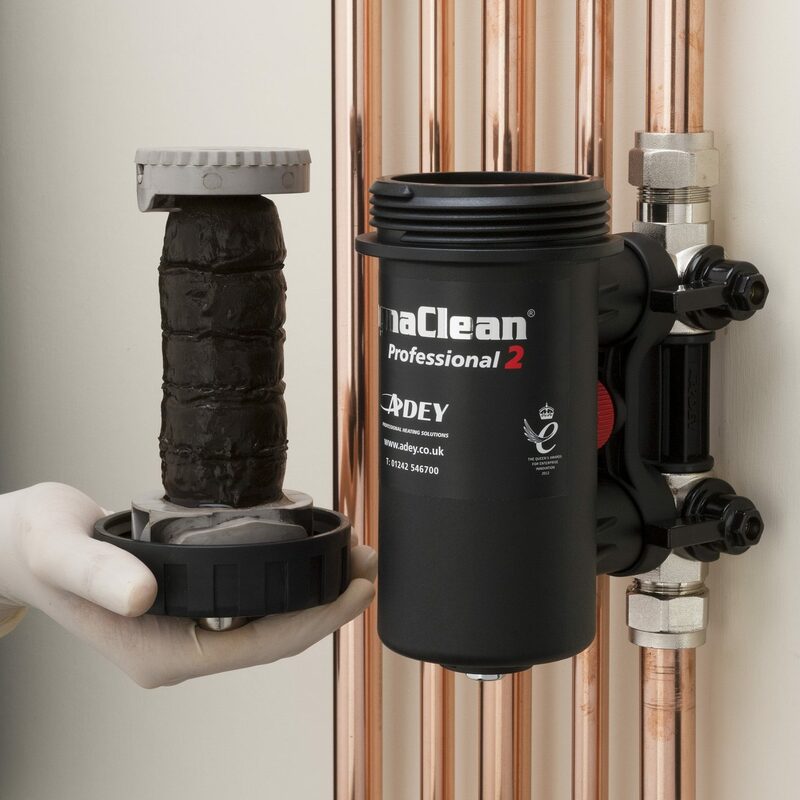 High performance MC1+ from ADEY, the makers of the market leading MagnaClean® filter, prevents both system corrosion and limescale deposition. MC1+ chemical delivers far better central heating system protection than a standard 100-litre inhibitor by future-proofing the system against partial system drain-down. Formulated to provide better protection for the average-sized system AND protect systems with up to 15 radiators. 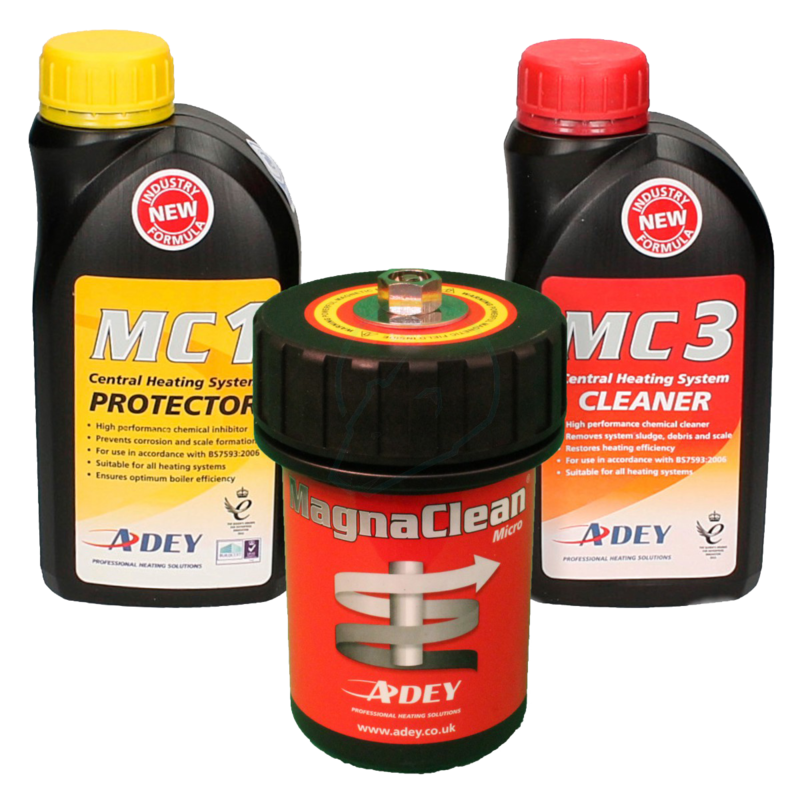 MC3+ central heating system cleaner is a new rapid performing and powerful chemical cleaner specially designed to remove central heating system sludge and debris. Formulated to provide better sludge removal for the average-sized system AND cleans systems with up to 15 radiators. 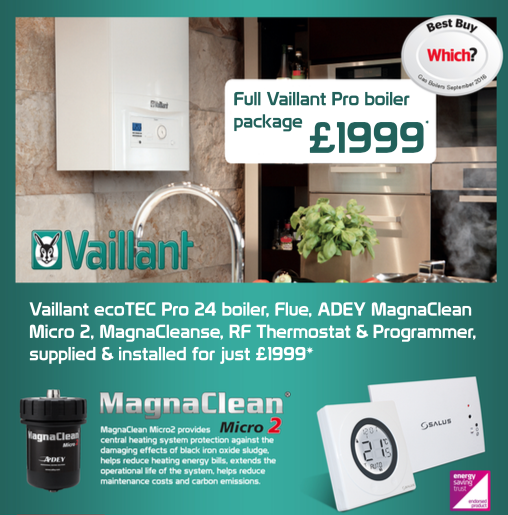 Extended Warranty, Smart Controls, Additional Radiators and Boiler Servicing options also available. Offer is only currently available in PL, TQ, TR and EX postcodes.